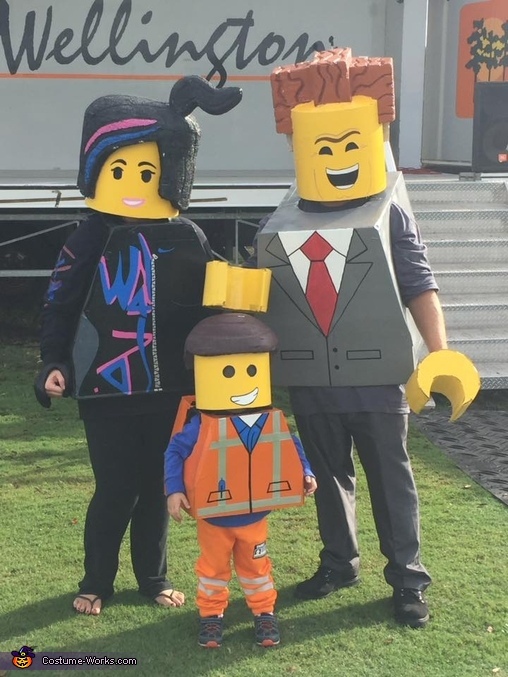 M 3year old son is Emmet, Me as Wyldsyle, and my husband as President business. These were made from cardboard boxes, cardboard cement tubes, and lots of styrofoam! My husband built the costumes and I painted them.